We want to build a passionate and engaged society, one that stands up to injustice in all its many forms. We are living in a moment where hate, bigotry and white supremacy grow in disturbing velocities. Fear of the “other” has led to public policies and sentiment bolstering ingrained bias. Our most vulnerable neighbors find themselves in liminal spaces as current rhetoric and policy erodes their sense of identity and safety. As leaders of cultural institutions, we play a critical role in addressing this inequity and illuminating a counternarrative; one of empathy, resistance, resilience and compassion. Particularly, for our children. 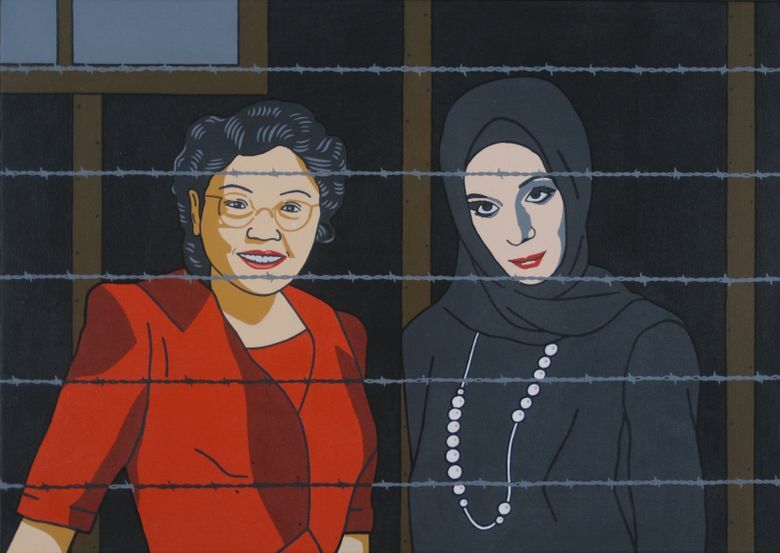 This month Seattle Children’s Theatre, Wing Luke Museum and the nonprofit organization Densho are joining together to examine the consequences of the 76th anniversary of Executive Order 9066, which resulted in the incarceration of 120,000 people of Japanese ancestry. Executive Order 9066 destroyed families, stalled lives and changed the course of the nation for generations to come. Courtney Sale is the artistic director of Seattle Children’s Theatre. Tom Ikeda is the founding executive director of Densho, whose mission is to preserve the testimonies of Japanese Americans who were unjustly incarcerated during World War II. Beth Takekawa is executive director at Wing Luke Museum of the Asian Pacific American Experience. We turn to history in order not to repeat it. The tactics used to target and vilify Japanese Americans during World War II are being used in much the same way with American Muslims and other marginalized communities now. Rather than shield our young people from these injustices, we must be proactive in initiating these conversations. We need to be able to sit in these difficult topics. Connected to “The Journal of Ben Uchida,” we are planning four community dinners intended to foster family-to-family dialogue and a panel discussion focused on the generational effects of the Japanese incarceration. These discussions are paramount to our democracy, and we cannot expect them to occur solely in our classrooms. We want to build a passionate and engaged society. One that stands up to injustice in all its many forms. Critical to that effort is beginning with our children. Respected child psychologist Dr. Ava Siegler says the biggest threat young people face is “the destruction of civilizing emotions.” She categorizes those as empathy, morality and self-control. Parents and caregivers bear a big responsibility in assuring those values are lifted. Densho, which seeks to preserve the testimonies of Japanese Americans unjustly incarcerated during World War II, Seattle Children’s Theatre and the Wing Luke Museum aim to support that worthy endeavor. Our children deserve a country that animates our civility and compassion. Please join us in honoring the past in order to make a better future. This is our history and our responsibility.